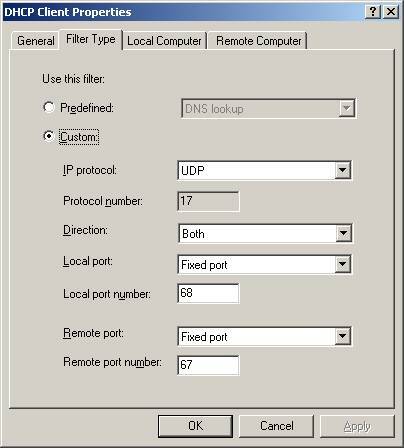 How To Enable DHCP Client IP Packet Filter. 1. 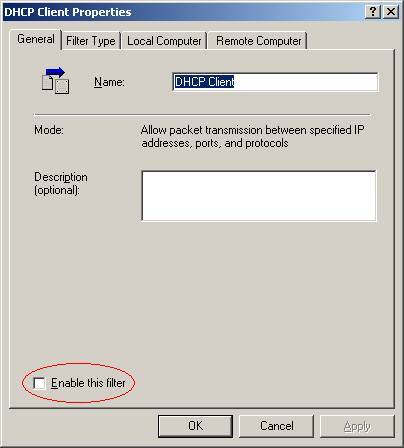 Open Access Policies, point to IP Packer Filters and double-click on DHCP Client. 3. This is default value for this filter. I did not modify them. 4. On Local Computer tab select the option that applies to you. 5. On Remote Computer tab select the option that applies to you. Alexandre C. Alencar is a technical support with Aspec, develop, support, consulting, account firm located in Fortaleza, CE Brazil specializing in account software. 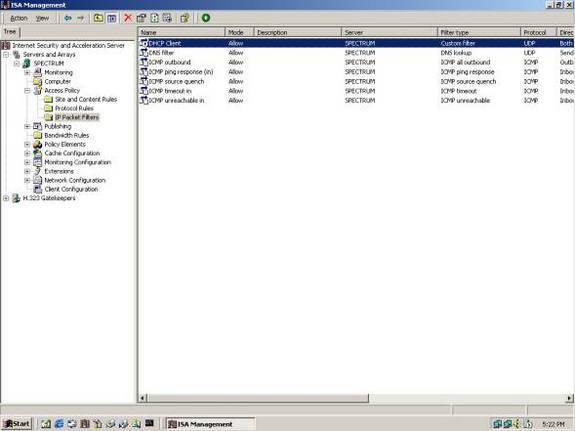 Current project is to develop a practical how to manual for the ISA Server and Windows 2000 OS Server/Professional. 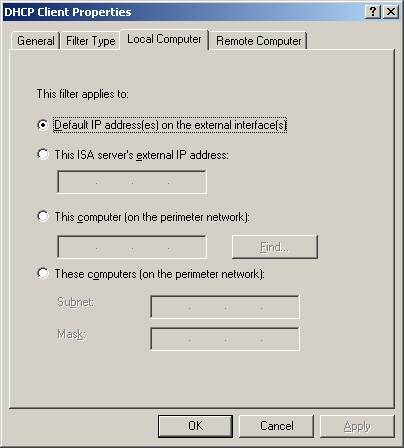 Home » Servers » ISA Server » How To Enable DHCP Client IP Packet Filter.